As of the first quarter of 2015, Millennials make up the largest generation in the American workforce, and are quickly becoming America’s most influential group of consumers. This means that now more than ever, Millennial consumption trends are critical for us to pay attention to. One of the most influential trends that has been particularly successful with Millennial consumers, is the Sharing Economy. We think this new business model is important for any brand to understand because it reflects some of the most quintessential Millennial economic values. Millennial consumers are used to utilizing technology to get what they want, when they want it. But these are not necessarily consumers that actually want to own it all – rather, this is a consumer that simply wants access to it all, and for a fair price. The preference for access over ownership is part of a larger shift in the Millennial mindset. This generation of consumers tends to be less attached to ownership and the accumulation of goods and property, and more accepting of shared resources, especially if doing so has social or environmental benefits. One of the best examples of this shift is the birth of the Sharing Economy, which encourages the leveraging of each other’s assets. The success of this model demonstrates that the values associated with ownership and consumption are drastically changing. One of the key features of the Sharing Economy is trust / reputation, both of which are vetted through online social systems and governed primarily by the people. This revolutionary transition has fostered a collaborative ethos affecting our economic system, our communities, and individual perspectives on ownership. No longer will consumers want to own expensive or infrequently used assets. For items like these, ownership is a hassle rather than a privilege. The Sharing Economy allows consumers to access such assets on-demand with greater convenience and affordability. We also recognize that individual ownership has an enormous environmental footprint. The amount of waste generated from overproduction of goods strips the planet of finite natural resources. Successful examples include Uber and Lyft, which have already decreased the need for personal vehicles in our cities, greatly reducing the financial burden of their users while still preserving freedom. Other industries are poised to follow suit, especially for items that are expensive and in high-demand, or for high-value items that are under-utilized by their current owners. One example of an established company that is choosing to adopt the Sharing Economy principle is Audi and its pilot program called ‘Audi on Demand’. Initially introduced in San Francisco, Audi on Demand is is based around an iPhone app that allows clients to order a new Audi of their choosing on a day-by-day basis for up to 28 days in a row. A user orders an Audi through the app and a personal concierge will deliver the car anywhere in the city. It’s important to point out that Audi On Demand is fully supported by the brand and is not a peer-to-peer model, indicating the evolution of such marketplaces. Over the last few years rise and fall of peer-to-peer marketplaces has proven that people like the idea of them, but these models are challenging for startups to support. By relying on others, there are inherently quality and supply challenges, making it initially very challenging to get started. However, if an existing company like Audi for example, manages the supply rather than individuals, quality and supply can potentially be much more reliable. 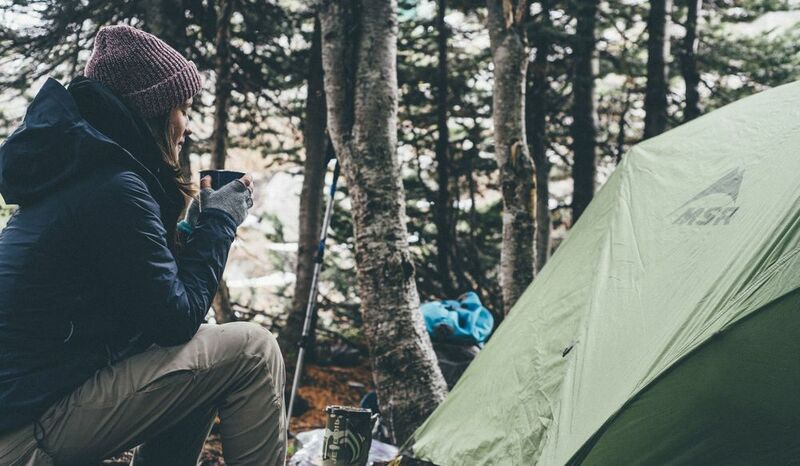 The outdoor industry has had its fair share of peer-to-peer gear sharing marketplaces spin up which include GearCommons, Outdoordivvy, Geared Up, and Pro Guide Direct. Although novel ideas they are challenged by having to deal with user acquisition for both the supply and the demand. Get Outfitted and REI utilize partnerships with existing brands to handle gear rentals. In our experience though, consumers will only choose these options if the platform provides an increase in convenience and better value, usually for goods that would otherwise be very expensive to own. Brands have the ability to deliver the supply and it would be interesting to see them start to adopt some of the Sharing Economy concepts into their business models. The Sharing Economy has disrupted traditional ideas of access and ownership. It is allowing for a mass distribution of assets and new revenue models. Millennials are particularly supportive of the Sharing Economy and the technology that is evolving rapidly to meet demand. Whether adopting a similar business model, or simply integrating aspects of the Sharing Economy into company ethos, brands can benefit from understanding why this trend is taking off like wildfire. For more content subscribe for our weekly digest or visit our website.